Over the past year, sweeping regulatory reforms have been introduced in China with the aim of encouraging innovation and reducing regulatory burden on the life sciences industry. The breadth of these reforms spreads across multiple stages of the drug development life cycle. Initiatives at the clinical phases will reduce costs for life sciences companies and eliminate some of the cumbersome requirements for conducting R&D activities. Similarly, initiatives at the commercialization phase (e.g., the marketing authorization stage) will minimize regulatory delays and thus facilitate access to the market. The significance of these reforms is substantial for multinational corporations, particularly considering the size of the Chinese pharmaceutical market. In 2016, total pharmaceutical sales in China were estimated at approximately $115 billion, making the country home to the second-largest market in the world after the United States. In a notice released near the end of 2017, the China Food and Drug Administration (CFDA) announced it is considering easing the requirements governing use of foreign clinical data in a bid to support innovation in the industry. In the document, the CFDA notes it would allow marketing authorization applications to refer to data obtained from foreign clinical trials (i.e., those conducted outside of China) including multi-regional clinical trials (MRCTs). Although the policy governing pharmaceutical products has not yet been finalized, it is expected to mirror the policy released for medical devices. Generally speaking, data from foreign trials could be accepted if the clinical site passes the CFDA’s inspection and if the trial protocol is scientific and compliant with GCP principles. It is important to note the CFDA might still assess any differences in the clinical regulations and study populations between the country of the clinical trial and China. In cases where these differences are deemed to be significant, the CFDA might request the manufacturer to conduct additional studies. Overall, multinational pharmaceutical companies could enjoy reduced R&D costs since the new guidelines will help eliminate the need to conduct many of the unnecessary and costly duplicate clinical trials in China. Manufacturers will need to prepare for the possibility of increased frequency of foreign CFDA inspections by ensuring compliance with GCP guidelines and other requirements specific to Chinese regulations. One challenge for the CFDA will be having a sufficient human workforce with the required language expertise that can handle the increase in foreign inspections. As a result, the positive impact of this reform for the industry may be initially offset by some delays during the first stages of implementation as the CFDA adjusts to the increased workload. Other reforms introduced over the last year will deregulate some of the requirements for conducting clinical trials in China. Previously, the CFDA required that domestic clinical trials for a given drug in China not be approved before the drug reaches at least Phase 2 status elsewhere. This cumbersome requirement made it impossible for multinational corporations to synchronize their drug development plan in China with other markets, thus leading to lost market time and potential. In fact, innovator drugs that were approved in international markets were delayed by an average of five to seven years before entering the Chinese market. Under the new rules, the CFDA will open up first in-human trials (Phase 1) for all products except vaccines. 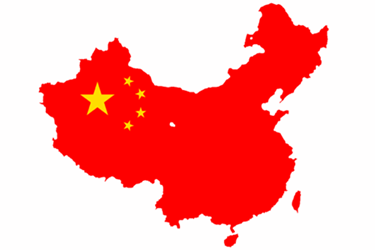 Overall, life sciences companies planning to conduct clinical trials in China will benefit on two ends. First, regulatory delays are expected to be significantly reduced as manufacturers can simultaneously progress on their market access plan in China along with other international markets. Second, multinational corporations can achieve significant savings in R&D costs by using China as a site for early clinical trials, since development costs locally are typically a fraction of what is seen in other markets. China’s attractiveness for clinical trials is further enhanced by its large population (World Bank estimate: 1.38 billion) which makes it much easier to recruit patient populations, even for rare and orphan diseases. In a related reform, the CFDA will adjust its clinical trial approval process with the aim of reducing lag time for the industry. Traditionally, manufacturers seeking approval for a clinical trial application lodged with the CFDA had to wait until the agency issued a “go-ahead” statement. This process often led to considerable delays, as the average approval time for clinical trials was approximately 200 days. Under the new proposed system, a clinical trial application will be considered approved after 60 working days if the manufacturer does not receive a rejection or an inquiry for clarification from the CFDA. The new system is similar to the U.S. FDA’s system, which uses a 30-working-day waiting period. Hence, this move highlights that the CFDA is beginning to align its regulations with international standards and best practices. Applicants should be prepared to quickly respond to CFDA inquiries during the waiting period to take advantage of the minimal delay potential. In order to balance fast approvals with a high drug safety standard, the CFDA is expected to scrutinize inspection of clinical trials. Therefore, any change in the clinical procedure or protocol should be promptly reported to the CFDA to ensure these inspections do not lead to termination or rejection of the clinical trial. Since 2016, an initiative known as the market authorization holder (MAH) program has been piloted in 10 provinces with the goal of reforming the licensing process for both drugs and medical devices. Prior to this program, life sciences companies or individuals seeking marketing authorization for their product were required to have their own manufacturing facilities. The MAH program eliminates this requirement by allowing these companies to contract third-party manufacturers (CMOs) to produce their product. Such a move is a huge positive for the industry, particularly for small and midsize life sciences companies, since they could reap benefits of their drug development efforts without having to maintain a costly manufacturing base. The success of the pilot program in the 10 provinces has led to efforts to achieve nationwide implementation over the next year. Under the MAH program, it is critical to realize license holders are still largely responsible for many legal liabilities associated with pre- and post-marketing regulations. For example, companies wishing to contract third-party manufacturers must ensure the facilities are GMP-compliant in order to avoid penalties and the potential loss of market time. The MAH also remains responsible for promptly reporting any adverse drug reactions to the CFDA following product launch. Overall, the MAH program is valuable for companies that do not have the capital to build manufacturing capabilities and for multinational firms that might be concerned about entering the Chinese market due to lack of experience. Boehringer Ingelheim is the first foreign CMO that has taken advantage of this program. In January 2018, Boehringer Ingelheim entered into an agreement to manufacture tislelizumab (a PD-1 monoclonal antibody slated for treatment of various cancers) for the Chinese-based pharmaceutical company BeiGene. This move will allow BeiGene’s new product to enter the market as soon as possible while the construction of its own biologic manufacturing facilities is underway in Guangzhou. The reforms introduced over the last year will have far-reaching implications for innovation in both the pharmaceutical and medical device industries. As some of these initiatives are being implemented, industry stakeholders will be eagerly awaiting additional policies to be released by the CFDA over the next few months. For example, further details on acceptance of foreign clinical data for pharmaceutical products are expected to garner much attention. In order to maintain a competitive edge in the market, life sciences companies should keep abreast of these developments as they occur. Companies that make use of the new concessions offered under the aforementioned reforms will enjoy faster time-to-market and reduced R&D costs. Overall, these developments coupled with reforms in other sectors (e.g., improvements in intellectual property protection) will present lucrative growth opportunities for both domestic and multinational companies operating in an already-attractive market. Yazan Saleh is an associate analyst on the global market access insights team at Decision Resources Group (DRG). He is responsible for monitoring the evolving healthcare and pharmaceutical landscapes with a focus on Canada, China, Japan, Saudi Arabia, and South Africa. He is primarily involved in analyzing and reporting on the impending regulatory and market changes that impact access to these regions through DRG’s global market access solution (GMAS) platform. Saleh holds a B.Sc. from the University of Toronto.